* Ancholme Spring League, River Ancholme, Springs, N. Lincs. Sun, 32. Graham Bontoft (Scunthorpe Tackle) 12-5-0, roach on punch from peg 6; Steve Nurse (Scunthorpe Tackle) 11-4-0; Rob Beckett (Scunthorpe Blue) 10-14-0; Graham Tock (Scunthorpe Tackle) 10-6-0. * Bob-Co Yorkshire WL, River Ouse, Hunters Lodge to Linton. Sun, 80. Wayne Bartholomew (Steel City) 12-6-0, 40 roach on feeder and maggot from peg 245; Paul Clarke (Mirfield) 9-8-0; Ian Bowman (Angler’s World Holidays) 6-9-0; Barbara Jeffries (Leeds) 6-4-0; Ian Daley (Tackle 2U) 6-3-0; Jim Carter (Selby) 6-0-0. 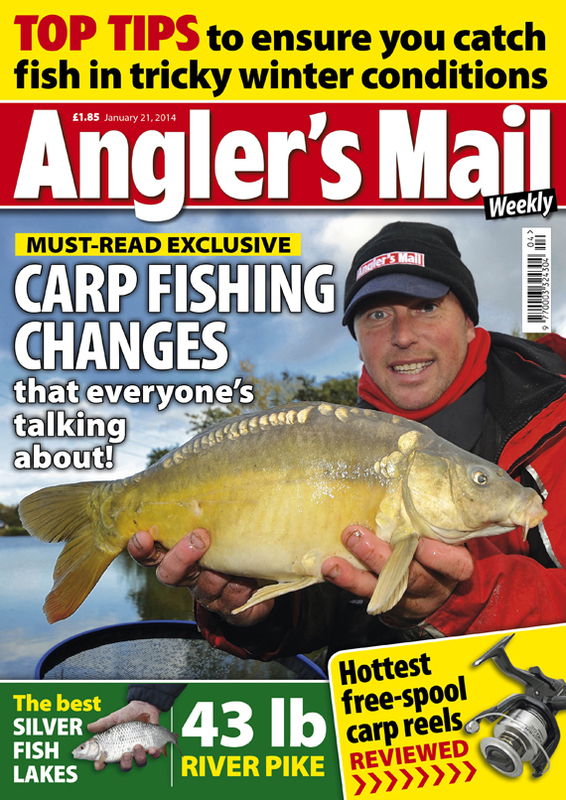 Teams: Anglers World Holidays 49; Mirfield 45; Tackle 2U 43. Final League: Anglers World Holidays 9; Mirfield 15; Tackle 2U 17. * Daiwa Hallcroft, Retford, Notts. Sun, 32, Silverfish teams, Moat and Bridge island. 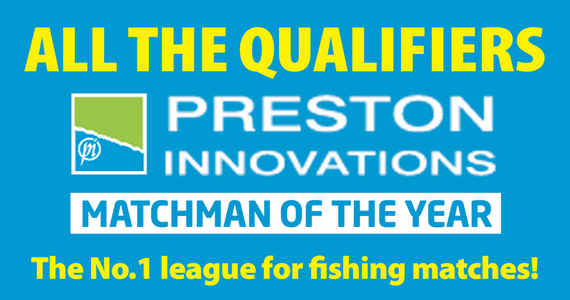 Andy Oldham (Frenzee) 31-10-0, bream to 3 lb on pole and caster over groundbait at 8m, peg 40 Moat island; Nigel Wood (MAP Leegem) 29-2-0; Brian Sullivan (Maltby) 21-3-0; Ben Holmes (Matrix Trentmen) 19-3-0; Gary Mumby (Team Frenzee) 16-11-0. Team result undisclosed. * Garbolino Lindholme, Bonsai and Oasis lakes, Doncaster. Sun, 51. Paul Yates (Drennan) 107-11-0, carp to 5 lb, corn and pellet at 13m, Oasis 2; Greg Norris (Maver Midlands) 69-6-0; Craig Elkin (Fox) 65-9-0; Dale Sheppard (Maver) 59-5-0; Steve Lymm (Lindholme) 53-13-0; Mick Vials (Preston Innovations) 47-6-0. * Oaks, Cedar Lake, Sessay. Sat, 32. Anthony Stock (Daiwa Cleveland Angling Centre) 38-13-0, carp on pellet and corn from peg 25; Dean Smith (Matrix Bait-Tech) 37-0-0; Chris Kendall (Middy) 35-6-0; Ray Singh (Garbolino Elton) 33-11-0. * Tom’s Ponds, Otley, Pond One and Two. Sun, 30. Scott Dodsworth (Pudsey Angling Centre) 39-7-0, trout on poled maggot from Pond Two peg 17; Barry Frankland (Toms Ponds) 38-2-0; Dave Rawson (Tackle 2U) 34-4-0; Craig Thompson (Bradford) 33-6-0. * Valmaar Sideloaders, River Ouse, Hunters Lodge to Linton. Sat. 48. Dave Topham (Bradford) 7-9-0, 22 roach on feeder and maggot from peg 187; Andy Hamilton (Maver Newman Scotts) 7-0-0; Daz Taylor (Saints) and Dave Armitage (Cleckheaton) both 6-10-0; Steve Whitfield (Steel City) 4-10-0. * Yarm, River Tees, Yarm, Cleveland. Sun. 33. Paul Healey (Yarm) 30-1-0, six bream and ten skimmers, feeder and worm, peg 164; Jimmy Messor (Mary’s Tackle) 29-10-0; Gerry Bowes (Marys Tackle) 25-13-0; Keith Ward (Darlington Angling Centre) 21-0-0. Bank End. Finningley. Sun, 22. Kev Feast (Daiwa Dons) 69-11-0, carp on pole and feeder with pellet, peg 20; Kev Holvey (Tricast) 60-0-0; John Lindsay (Bank End) 34-8-0; Colin Brown (Doncaster) 25-2-0; Matt Grove (Bank End) 16-9-0; Trevor Bee (Bank End) 11-8-0. Barnburgh. Doncaster, S Yorks. Over 50’s. Tues, 18. Chris Dyson (Barnburgh) 42-0-0, F1’s on poled pellet; Phil Makin (Barnburgh) 39-0-0; Alan Wadsworth (Barnburgh) 27-8-0. Wed, 15. Gary Jubb (Barnburgh) 95-12-0, F1’s on poled pellet; Lauren Goose (Barnburgh) 56-8-0; Paul Brunyee (Castleford) 53-6-0. Fri, 14. Tom Bray (Doncaster) 76-12-0, F1’s on poled pellet; Gary Jubb (Barnburgh) 63-6-0; Alan Wadsworth (Barnburgh) 57-7-0. Sun, 28. Andy Sutton (Rotherham) 65-0-0, F1’s on poled pellet; Mick Owen (Barnburgh) 60-8-0; Gary Jubb (Barnburgh) 60-0-0. Daiwa Hallcroft. Retford, Notts. Veterans. Thurs, 34. Moat. Pete Bagshaw (Barnsley Blacks) 87-8-0, carp on pellet feeder with corn and pellet, peg 73 island; Trev Furby (Notts AA) 39-12-0; Nigel Wood (MAP Leegem) 30-14-0; Tony Brown (MAP Leegem) 24-6-0; Arnie Payling (Peg One) 23-5-0. Sat, 14. Moat island. Robin Walker (Rotherham) 64-6-0, carp on bomb and corn, peg 73; Arthur Berisford (MAP Leegem) 31-10-0; Nigel Wood (MAP Leegem) 26-9-0. Darlington Brown Trout, River Tees, Conniscliffe. Sun, 26. Clive Cloke (Darlington Brown Trout) 5-2-0, grayling on stick and maggot from peg 11; Ken Close (Darlington) 4-10-0; Mark Chapman (Darlington) and Nigel Spratt (Darlington) both 4-1-0. Ferryboat Farm. Conisborough, S. Yorks. Sun, 11. Andy Bacon (Paul’s Tackle) 15-4-0, skimmers and tench on pole and feeder; Paul Hunton (Rotherham) 11-9-0; James Cameron (Clay Lane) 11-0-0. Kiveton Hall. Nr Sheffield. Sun, 16. Paul Burt (Kiveton) 72-10-0, carp on poled pellet, peg 15; Pete Ellis (Kiveton) 40-12-0; Mick Todd (Kiveton) 35-4-0; Rob Booth (Kiveton) 29-8-0; Chris Clarke (Kiveton) 21-4-0; Steve Robinson (Kiveton) 19-10-0. None Go Bye Farm, Middle Lake, nr York. Sun, 22. Chris Kendall (Middy) 24-1-0, skimmers on pellet from peg 3; Steve Michaels (Tri-Cast Highfield) 19-15-0; Tim Peters (Leeds) 18-4-0. Phoenix and Parkgate. Ravenfield ponds, Nr Rotherham. Sat, 17. Mick Barker 15-5-0, skimmers and tench on pellet feeder, peg 73; Ray Hamshaw 11-2-0; Stuart Senior 8-8-0; Rob Laird 5-6-0 (all Phoenix and Parkgate). Poppleton Ponds, Railway Pond, nr York. Sun. 15. Jason Gilbert (Strayside) 50-0-0, carp on corn at 14m; John Haw (Drawbags) 49-12-0; Dave Thorpe (Speedy Angling) 27-0-0. Silstar Stainforth Angling Winter Pairs, Sykehouse Fishery, S. Yorks. Sun, 26, Stock Pond. John Walkden (Silstar Stainforth Angling) 60-0-0, carp on pole with pellet and corn, peg 2; Daz Hall (Thorne) 47-6-0; Steve Barr (Silstar Stainforth Angling) 34-0-0. Pairs: Jim and Dan Evans (Clay Lane) 6; Daz Hall and Keith Pearson 6; John Walkden and Alan Thompson 11. Sykehouse Fishery, Match lake and Twin Arms, S. Yorks. Sun, 29. Daniel Thompson (Silstar Stainforth Angling) 46-13-0, carp on poled meat, peg 13 match lake; Paul Baxter (Sykehouse) 39-12-0; Mick Blaine (Sykehouse) 38-2-0. Thornhill, Calder and Hebble Canal, Dewsbury, W. Yorks. Sat, 23. Craig Ellis (Tri-Cast Calder) 12-1-0, roach and skimmers, bloodworm and caster, peg 1a; Simon Wain (Matrix Halifax) 5-0-0; Brian Kellett (Thornhill) 3-12-0. Wakefield, Calder and Hebble Canal, Calder Grove. Sun. 18. Steve Allinson (Tri-Cast Calder) 6-8-0, roach and perch, worm and joker, peg 10; Luke Wrzosek (Matrix Halifax) 5-10-0; Martin Brown (Wakefield) 4-7-0. Woodhouse Grange. Doncaster, S Yorks. Wed, 15. Kingfisher. Stef Huntington (Goole) 83-8-0, carp on poled pellet, peg 4; Steve Cross (Goole) 52-12-0; Mal Scott (Goole) 49-9-0. Thurs, 12. Heron. Steve Clegg (Woodhouse Grange) 88-3-0, carp on poled pellet, peg 46; Della Pearson (Woodhouse Grange) 75-14-0; Ian Taylor (Cats and Dogs) 64-11-0. Sat, 17. Dog Kennel. Ian Taylor (Cats and Dogs) 111-1-0, carp on poled pellet, peg 2; Ryan Bennett (Woodhouse Grange) 84-8-0; Bernie Larder (Woodhouse Grange) 76-4-0. Sun, 18. Winter league. Ghost. Ian Taylor (Cats and Dogs) 86-12-0, carp on poled pellet, peg 35 Dog Kennel; Steve Gertsmar (Woodhouse Grange) 54-6-0; Les Wray (South Kirby) 49-5-0. Yorkshire Groundworks, Beverley Canal, E. Yorks. Sun, 16. Graham Hartley (Hull Works Sports) 16-2-0, roach on poled caster from peg 42; Len Pulford (Anglers Corner) 14-6-0; Dave Brooks senior (Hull) 9-0-0.